This is the biggest snow sports region in Switzerland. 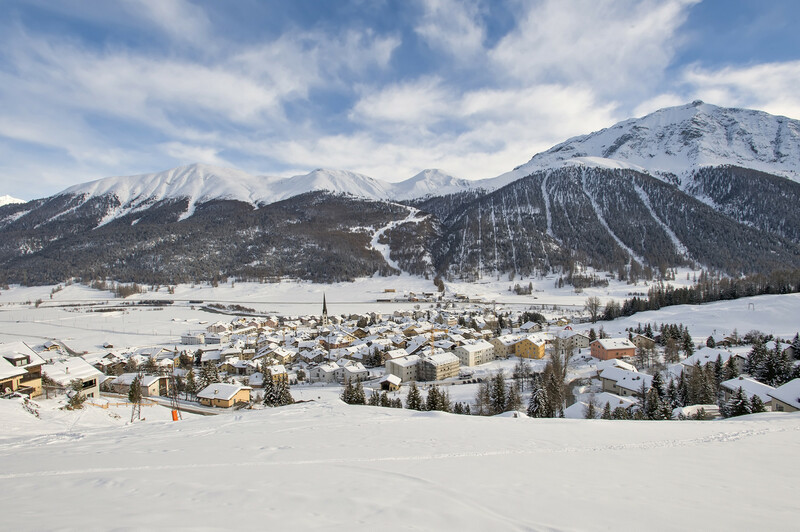 Amid unrivalled sweeping scenery you will find expertly prepared slopes served by state-of-the-art lift facilities. The choice of accommodation is vast and good value for your money, whether youth hostel or luxury hotel. The Engadine has everything you need to relax or exercise. Here you find the ultimate in winter sports fun for boarders and skiers, novices and experts. A total of 56 aerial and surface lifts can carry as many as 65,000 people an hour. At 1,700 to 3,300m asl 350 km of pistes are waiting to be discovered. Switzerland's largest Nordic skiing region offers 180 km of trails. Get Snow Reports, Powder Alerts & Powder Forecasts from Zuoz straight to your inbox!